The old saying “to eat an apple going to bed, will make the doctor beg his bread” has been justified by its many health-rich properties. A member of the rose family, fossil remains have shown that apples were gathered and stored 5,000 years ago and it’s likely that they were already cultivated during the Neolithic times. 1. Apples are low in calories; contain no saturated fats or cholesterol, but rich in dietary fiber which helps prevent absorption of dietary LDL cholesterol in the gut. The dietary fibers also help protect the mucous membrane of the colon from exposure to toxic substances by binding to cancer causing chemicals in the colon. 2. Apple fruit contains good quantities of vitamin-C and beta carotene. Vitamin C is a powerful natural antioxidant. Consumption of foods rich in vitamin C helps body develop resistance against infectious agents and scavenge harmful, pro-inflammatory free radicals from the body. 3. Apples are rich in antioxidant phyto-nutrients flavonoids and polyphenols. 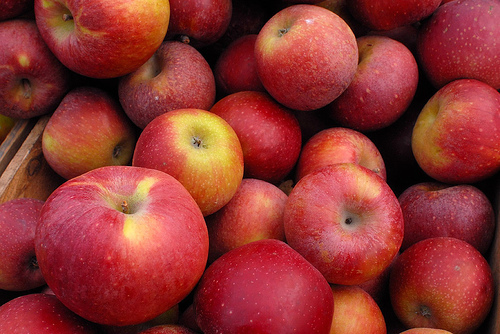 The important flavonoids in apples are quercetin, epicatechin, and procyanidin B2. 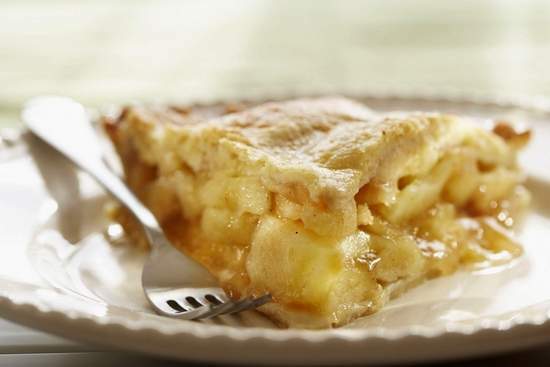 Apples are also good in tartaric acid that gives tart flavor to them. 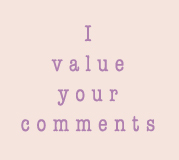 These compounds help body protect from deleterious effects of free radicals. 4. The fruit is a good source of B-complex vitamins such as riboflavin and pyridoxine (vitamin B-6). 5. Apple also contains small amount of minerals like potassium and calcium. Potassium in an important component of cell and body fluids helps controlling heart rate and blood pressure; thus counters the bad influences of sodium. 3. Drinking an apple juice, 3 times a day, is said to prevent virus from settling in the body. 4. If you have problems with indigestion, eat apples before meals. Serve with vanilla ice cream or hot vanilla sauce – yummy! Finally after the long summer break the fruit of the month series is back! And it will be featured every first Friday of the month. So here it is. Enjoy it! The most delicious of all fruits! Strawberries! I could eat them every day, in all forms – fresh with cream and sugar, puree with pancakes, tarts and ice cream. Not only so extremely yummy but also so healthy. Strawberries contain a range of nutrients, with vitamin C heading the group. They also contain significant levels of phytonutrients and antioxidants, which fight free radicals. 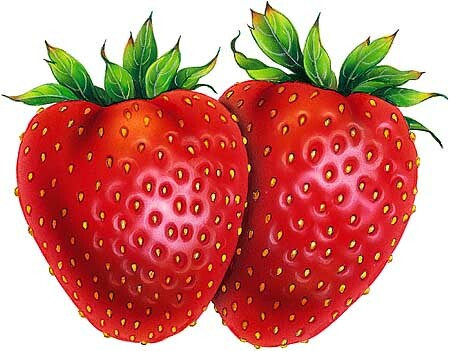 These antioxidant properties are believed to be linked to what makes the strawberry bright red. So what are these weird free radicals? Free radicals are elements that can damage cells, and they are thought to contribute to the formation of many kinds of cancer. In addition to vitamin C, strawberries also provide an excellent source of vitamin K and manganese, as well as folic acid, potassium, riboflavin, vitamin B5, vitamin B6, copper, magnesium, and omega-3 fatty acids. Adding fresh strawberries to your diet, whether they are in salads, smoothies, or on their own, is a great way to get the servings of fruit you need for a well-rounded body and a healthy immune system. How do you like to eat them? 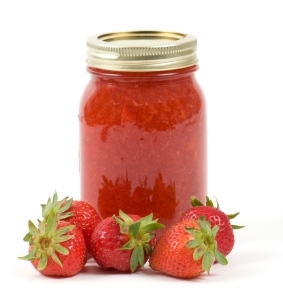 I love making jams and preserves, as you can use them all year round, on bread, pancakes and as fillings. 2. Place all the ingredients in a large pan and heat gently over a medium heat, stirring constantly, until the sugar has dissolved. 3. Raise the heat and bring to the boil then continue to boil for about 4 minutes. 4. Remove the pan from the heat and test for a set (see notes below). 5. Cool for about 15 minutes, skimming off any scum with a metal spoon. Mangoes are popularly known as “The King of fruits” and “apple of the tropics”. Every part of the mango is beneficial and has been utilized in folk remedies in some form or another. A partial list of the many medicinal properties and purported uses attributed to the mango treed as follows: anti-viral, anti-parasitic, anti-septic, anti-tussive (cough), anti-asthmatic, expectorant, cardio tonic, contraceptive, aphrodisiac, hypotensive, and laxative, stomachic. The ripe mango is anti scorbutic, diuretic, laxative, invigorating, fattening and astringent. 1. 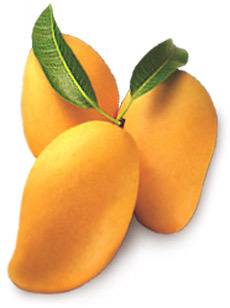 Mango acts as blood cleanser and has fever soothing qualities. 2. 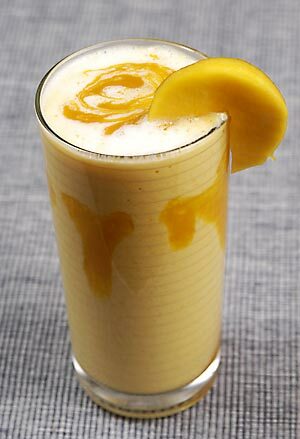 Mango juice helps reducing excessive body heat and also throws off body odors. 3. Unripe mango, being good source of vitamin c, helps in collagen synthesis and increases elasticity of blood vessels. It helps prevents scurvy. It promotes absorption of dietary iron. It also increases body resistance. 4. Ripe mango helps prevent night blindness. It also prevents development of refractive errors, dryness of the eyes, softening of the cornea, itching and burning in the eyes. 5. It maintains the integrity of epithelial tissues. Therefore it prevents frequent attacks of common infections such as cold rhinitis and sinusitis. 6. Eating raw mango with salt quenches thirst and prevents the excessive loss of sodium chloride and iron during summer due to excessive sweating. 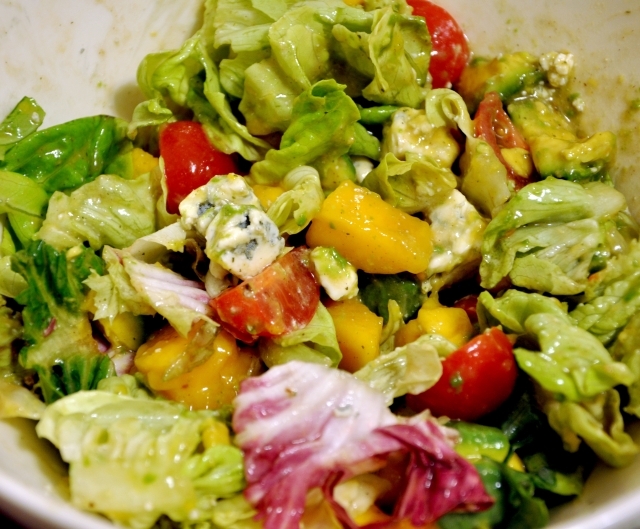 This month I’m sharing my absolute two favourite mango recipes – mango lassi (via Jamie Oliver) and mango salad. Banana a day keeps the doctor away! Trust me that after reading this, you’ll Never look at the Banana in the same way again!! If you want a quick fix for flagging energy levels there’s no better snack than a banana. Containing three natural sugars – sucrose, fructose and glucose – combined with fiber; a banana gives an instant, sustained and substantial boost of energy. But energy is not the only way to keep us fit. Bananas can also help overcome or prevent a substantial number of illnesses and conditions making it a must to add to our daily diet. Depression: Bananas contain tryptophan, a type of protein that the body converts into serotonin known to make you relax, improve your mood and generally make you feel happier. 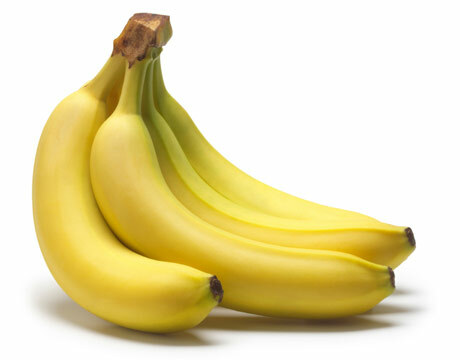 PMS: Forget the pills – eat a banana. 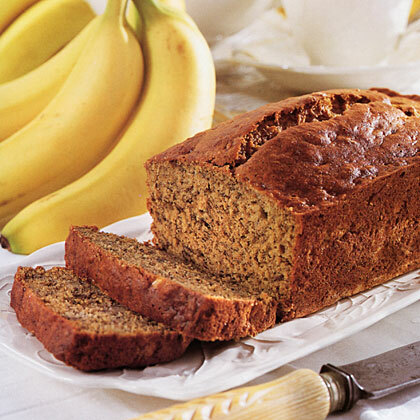 Vitamin B6 in a banana contains regulates blood glucose levels, which can affect your mood. 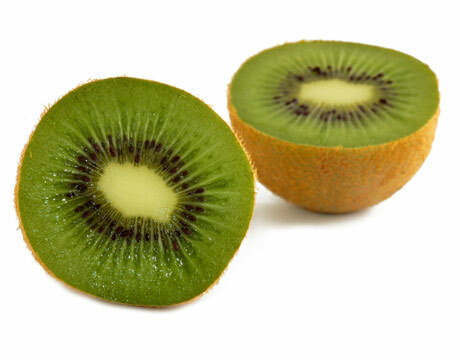 Blood Pressure: This unique tropical fruit is extremely high in potassium yet low in salt making it the perfect to beat blood pressure. The US Food and Drug Administration, said a leading newspaper, has just allowed the banana industry to make official claims for the fruit’s ability to reduce the risk of blood pressure and stroke. Brain Power: 200 students at a school were helped through their exams by eating bananas at breakfast, break and lunch in a bid to boost their brain power. Research has shown that the potassium packed fruit can assist learning by making pupils more alert. Hangovers: Few of us know that one of the quickest ways of curing a hangover is to make a banana milk shake, sweetened with honey. Since the banana calms the stomach and honey builds up depleted blood sugar levels, the last ingredient of milk soothes and re-hydrates your system. Heart burn: Most of us in love should definitely try this one. But seriously, bananas have a natural antacid effect in the body. So if you suffer from heart burn, try eating a banana for soothing relief or remain heart broken like me!! Morning Sickness: While my research on the banana made me stuck around a world of good healing, I realized that snacking on bananas between meals actually helped in keeping your blood sugar levels up and a major fighter of morning sickness. Mosquito bites: Try rubbing the affected area with the inside of a banana skin. Many people find it amazingly successful at reducing swelling and irritation. Some food for thought! I’ll say! Position an oven rack on the middle rung. Preheat the oven to 180C degrees. Lightly spray a loaf pan with nonstick cooking spray. In a medium bowl mash the bananas with a potato masher or fork until well mashed. In a large bowl, stir the sugar and butter with a whisk or wooden spoon until well mixed. This will take a few minutes and a little bit of work! Stir in the eggs until the mixture is well blended. Add the mashed bananas, buttermilk, and vanilla and mix with a spoon until smooth and well blended. Stir in the flour, baking soda, and salt just until moistened and combined. Stir in the blueberries or nuts if using. Spread the batter into the large loaf pan or divide it evenly between the two smaller pans, smoothing out the top of the batter. Bake the small pans for about 1 hour and the large pan for about 1 hour and 15 minutes, or until a toothpick inserted into the center of the loaf comes out clean. Remove from the oven and cool for 10 minutes on a wire rack. Loosen the sides of the bread from the pan with a butter knife or metal spatula. Carefully tip the breads out and place top side up on the rack to cool completely. Be sure the bread is completely cool before wrapping and storing or it will get soggy from the trapped moisture. 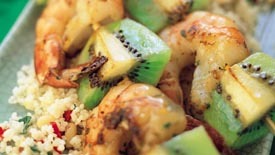 Wrap tightly and store at room temperature for up to 4 days and in the refrigerator for up to 10 days.